OLD PARKED CARS. 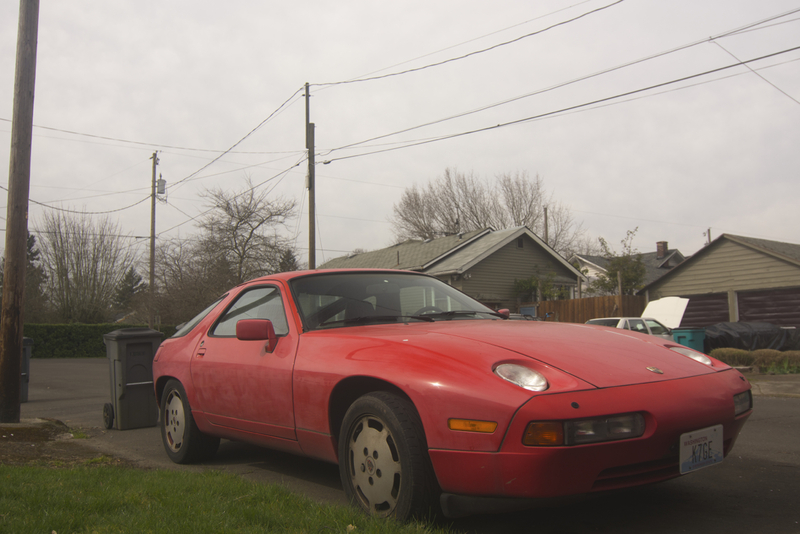 : 1987 Porsche 928 S4. 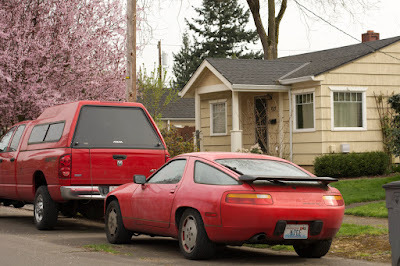 Who woulda thought- a redneck Porsche. Shot # 3 in particular is absolutley priceless. Viva la ham radio, Klaus. Get thee a Texas bugcatcher on that ride, post haste. 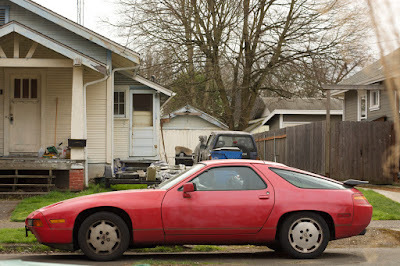 My favorite Porsche, drop a small block Chevy in it and your good to go. ^ See, case in point. Or simply turn the key and you're good to go? oh, man. what if you saw this car listed for sale on craigslist so you went to check it out, and this is where it was parked? Dude, they don't charge for an identity. just checked the math on these things. sticker in '87 was around $70k before options. that's ~$145k in 2015 dollars.